Sunday was the 250th anniversary of the death of the painter and printmaker, William Hogarth. 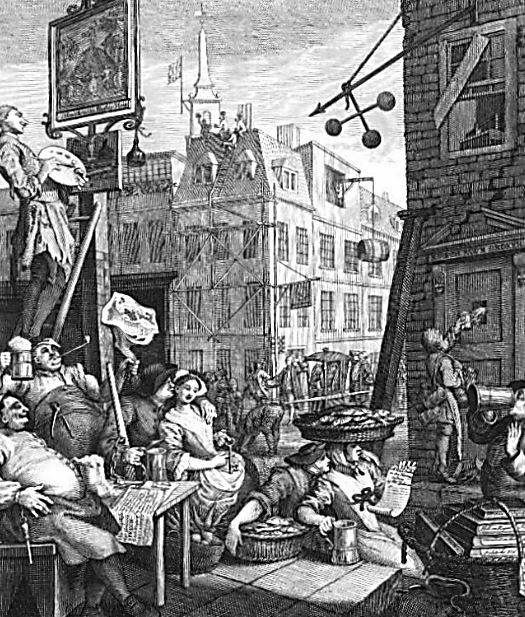 An article in the Economist’s Prospero blog reflected on Hogarth’s famous works, ‘Gin Lane’ and ‘Beer Street’ (1751) and an article in the Guardian’s art blog considered his impact on British art. Ever wondered why papercuts hurt so much? The British Library’s ‘Collection Care’ blog have the answers. The British Library and Qatar Foundation Partnership Project recently published a series of videos showing the process of replicating an eighteenth-century Arabic manuscript, from sewing the book to attaching the cover. You can watch them all here. The Generous Georgian blog, which looks at the life of the eighteenth century physician Dr Richard Mead, published a fascinating post last week on spread of the practice of inoculation in eighteenth century Europe. Finally, here’s a quick reminder that the deadline for the 2014-15 ASECS Irish-American Travel Grant on 15 November is fast approaching. Click here for more information. Previous Previous post: Back Soon!